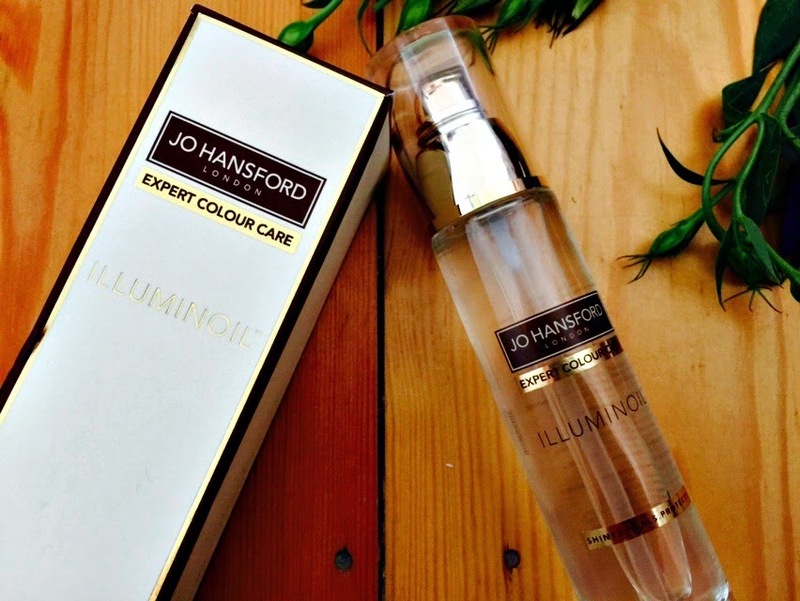 I recently started using Jo Hansford Illuminoil as a finishing product for curls and waves as it calmed flyaways and gave a gorgeous shine. But this beautiful bottle of product is a multi-tasking hero, not just for clients hair, but my own has become a firm favourite for four reasons. First up, it smells AMAZING. The mixture of Pomengranate, Jojoba, Almond and Karenja oil help not only with the fragrance, which is fresh and fruity, but also the condition of hair. Jojoba Oil adds moisture and gives hair protection against UV rays, it also cleanses hair. Pomegranate Oil brings back shine and protects against colour fade. Almond Oil improves lustre and softness, also a shine helper by smoothing hair cuticles. Illuminoil can be used on damp or dry hair, and depending on if you really need some help, you can use it to style when dry, or as a special overnight treatment if in need of some serious hair pampering. 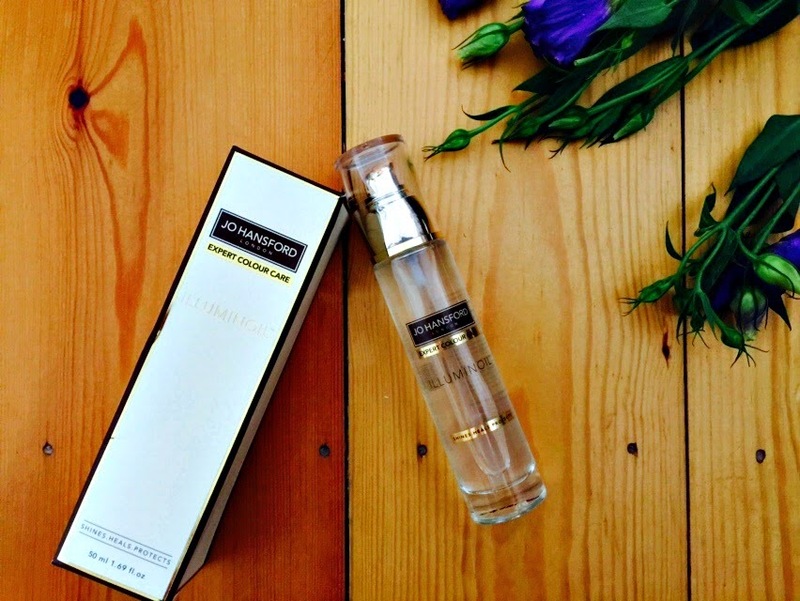 It's not only your hair, the Illuminoil can be used as a scalp treatment to soothe and calm. I've been using a tiny amount of oil on the mid lengths and ends of my hair before blowdrying and have really noticed a difference in condition, and manageability. And when styling brides-to-be I've been finishing their styles whether it be loose, romantic curls or a high impact up do with a small amount of the Illuminoil to calm flyaways and add shine. You can pick up the Illumioil online, at £29 for 50ml (or £12 for 15ml) it's slightly more than you might pay for products, but with four uses it's worth it. And you only need a small drop to cover mid length hair, with maybe a teeny tiny bit more for long hair, so it'll last ages. Highly recommend!